Plant geneticists from CSIRO, ANU, Flinders University and UTAS did not realised that from 2000 onwards they have been creating 'Synthetic Clonal Colonies'. They spent decades developing 'elite' trees with increased gain and enhanced 'traits'. The push to create the highest performing trees may have blinded the scientists to the use of contradictory technology. After cloning the best performing trees, they forgot that mycorrhizal root fungi would connect all of the closely planted trees into 'clonal colonies'. The trees are then controlled by algorithms rather than inherited traits. The new clonal colony enforces uniformity and the 'realised gains are lower than predicted'. An entire plantation now behaves as a single living unit. By 2015, plantation e.nitens and e.globulus (bluegum) trees grown in Tasmania are highly developed 'synthetic' trees. They are manufactured using 'one stop mass pollination' or 'mass controlled pollination' as the first stage of a clonal tree mass production line. Plant geneticists program the 'traits' they want using genetic mapping software. The trees could then be modified to produce 'polyploidy' (multiple genomes per cell). Somehow this process flies under the GMO radar in Australia. Clonal trees are then synthesized using 'chloroplast genetic engineering via organogenesis'. These are not normal trees grown from seed. They are grown from 'somatic embryos'. What are 'somatic embryos'? They are formed directly from plant cells in a test tube in a process that bypasses the slow growth of seed pods and natural tree reproduction. This technology lends itself to the propagation of mass clonal tree plantation products sold by 'clonal nurseries'. Welcome to the 'test tube trees' of Tasmania. Who knew? Clonal eucalyptus plantations are not grown from seed. They are grown directly from lab-cultivated 'plant embryos' in vitro. This phase of production is also known as 'synthetic seed technology' or 'micropropagation'. Here we will use eucalyptus nitens plantation trees as an example. Trees within a plantation cannot fertilise other trees in the same plantation because they are genetically identical and do not produce viable seed (selfing). They may 'outcross' or 'open pollinate' with other trees but only if the synthetic trees are not also 'male pollen sterile'. Even if some seeds were found and germinated they would probably revert back to a basic e.nitens that can be germinated from seeds found in Victorian native forests. Observations on the ground suggest the clonal trees are 'terminator trees' and a plantation owner is unable to germinate the seeds he has grown. He must return to the 'clonal seed orchard' and buy his next rotation. The trees are the intellectual property of the CSIRO and others and it is probably illegal to germinate them even if you could. A cluster of genetically identical organisms is called a 'clonal colony'. The trees in most Tasmanian eucalypt plantations after 2000 are genetically identical and will form a 'clonal colony'. A 'synthetic clonal colony' to be exact. A whole colony is termed a 'genet' while each clonal tree is a 'ramet'. Fungi, bacteria and cancer are all 'clonal colonies'. Did you know Tasmania has naturally-occurring clonal colonies of trees? 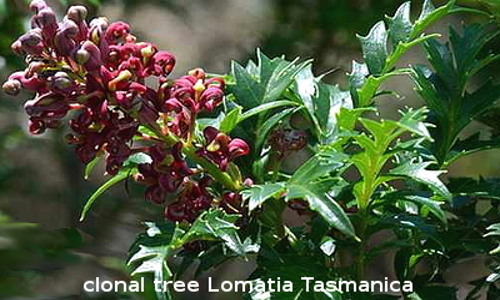 The 'Lomatia Tasmanica' is a sterile clonal colony that is at least 45,000 years old. An aspen clonal colony in Utah is the worlds largest organism by mass covering 43 hectares with 47,000 ramets. It's root system is estimated to be 80,000 years old. There are also insect clonal colonies such as clonal raider ants. Clonal colonies are the closest thing to 'immortality' on Earth. Clonal colonies (CC) have unusual properties that have been analyzed using high-level algorithms. For example, a plant CC needs to survive and expand. That means individual ramets collaborate. By contrast, a synthetic forestry CC is designed to have a limited life and not to expand. The trees are engineered to compete, not collaborate. This is the major fault of clonal tree plantations because observation has confirmed the trees are behaving collaboratively as the CC algorithm predicts. The CC plantations appear 'programmed' with an 'internal error'. Here I introduce the 'clonal tree plantation is a super-organism theory'. The theory reveals the serious flaws in clonal plantations and raises some interesting questions. If a nitens clonal plantation was left for a period of time, would individual tree roots and their symbiotic mycorrhizal colonies merge to become the single genet that biologically they already are? This may even involve complete 'inosculation' of the multiple roots into a single root system. Do plant pheromones also achieve the same outcome of unifying clonal trees ? What is the relationship between 2 different clonal plantations? What is the relationship between clonal colony (CC) plantations and native forest? Can CC plantations induce toxicity or even sterility in other organisms? Can koala bears become addicted to CC eucalyptus leaves? If the theory is correct then plant geneticists have wasted hundreds of millions of dollars by failing to apply CC algorithms to clonal plantations. It could even mean the original idea of developing clonal plantations was faulty. After all, doesn't a 'mixed clonal forest' defeat the idea of cloning trees to begin with? CC research also predicts clonal plantations would be hostile to trees from other clonal plantations, as well as native trees, to prevent sharing resources with them. This effect decreases over time. Disturbingly, the CC algorithm predicts synthetic genets have developed novel biological and allelopathic (biochemical) properties. Because the trees are genetically identical, individual tree immune systems are subverted in favour of a collective or cooperative immune system. That means the chemical properties of clonal trees must have changed in some way to reflect the new biochemistry of the whole genet. This has never been studied before. 'Our economic system is now the main evolutionary driver of the biosphere'. Millions of taxpayers dollars have been spent developing 'elite' trees but these trees have sent thousands of Australians bankrupt. Why are CC forests failing financially? Why have intelligent scientists not publicly disclosed they are imposing a transitory economic system onto plant species that evolved over millennium? Species that the scientists are biologically related to themselves (fairly recently in geological terms). Why have plant scientists become so obsessed with the reproductive systems of trees? Why is the CSIRO and others acting as 'parents' for thousands of synthetic clonal colonies? How far will plant scientists develop synthetic forestry for non-biological reasons if the technology is still in it's infancy? We sent this work to the Tasmanian plant geneticists pictured below. We received no response from any of them. We were surprised they operate as a 'bloc'. Unfortunately, we believe these scientists are academically culpable and are attempting to cover-up their incompetent research work in tree genomics. 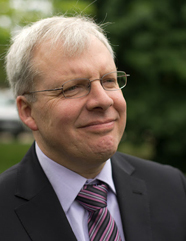 Prof Brad Potts from UTAS in Hobart. 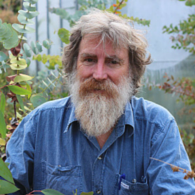 Brad is one of the founders of Tasmanian eucalyptus tree genetics. 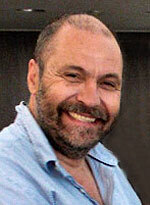 Tasmania's highest profile eucalyptus geneticist. Long time advocate for genetically modified trees. Lecturer, plant genetics UTAS Hobart. ©The discovery that clonal tree plantations become 'synthetic clonal colonies' due to the merging of root systems and mycorrhizal fungi is copyright Karl Stevens February 2015. Brilliant post Karl. Aberration is the name of the game when it comes to human interference in the Earth's biosphere! Extremely incisive comment on aberrant human economics theory (and industrial greed) motivating this unexamined landslide of interference. Well done Karl! An original approach that provides much food for thought. Given such powerful arguements against monocultures, the entire ethical structure behind cloning (if there is one) needs careful redesign. The trees are likely to grow to the least common denominator because they all compete for everything because they are all the same. Any insights into the cause of the toxins discovered by Alison Bleaney? Imagine a world where universities refused to teach contradictory 'facts' across all their faculties? So why do modern universities now teach totally contradictory versions of the 'truth'? By failing to unify 'knowledge' within their campuses, unis are dysfunctional, exporting dysfunctional 'scholars' into a dysfunctional world. The counter argument is that their are many versions of the 'truth'. But doesn't this contradict science itself?